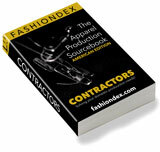 LEONORA FASHIONS, INC. solving Coats & Jackets production and contracting needs. lined & unlined jackets & sportcoats. Compare LEONORA FASHIONS, INC. with all 17 listings in Coats & Jackets.